I, like many other people I have met along the way, find myself going a funny shade of white and getting rather sweaty palms just going through the very thought of having to stand up and give a little speech, or worse, standing up and saying your name and what I do! Why is this so scary for so many of us, me definitely included? They say that fear is just adrenaline igniting within your body. They also say that excitement is just adrenaline igniting within you body. If that is true then fear and excitement are the same thing. So why do we get so scared when we could get so excited? With all this swimming around in my head I felt I needed to do a bit of research, surely I was not alone on this one. 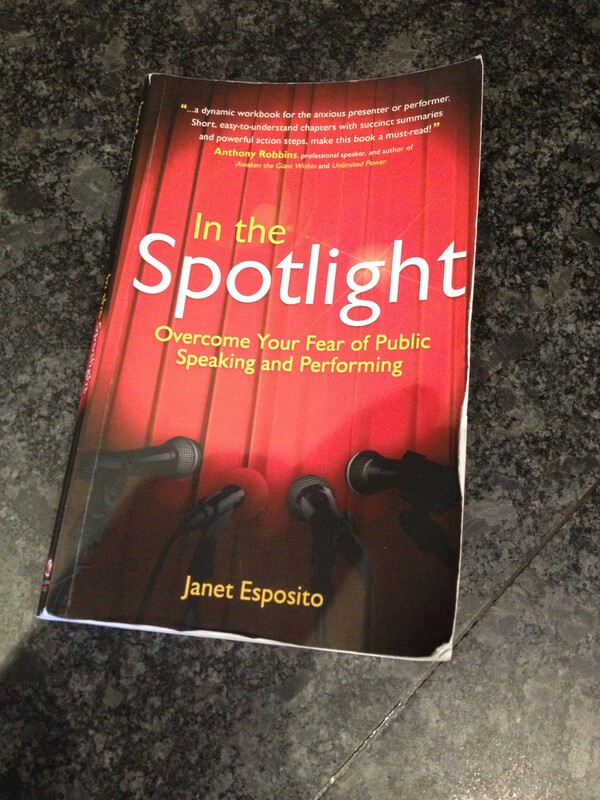 After reading a few books in relation to stage fright, confidence and public speaking I came across ‘In The Spotlight’ by Janet Esposito. The book is a broken up into easily digestible chapters with a ‘Summary’ and ‘Action steps’. These ‘Actions Steps’ do require ‘Action’ and also a ‘Commitment to yourself and your development’. The book points out that like anything in life this journey will not be an easy one, though the rewards will outweigh the effort. The author makes it clear that just reading this book is not enough, you need to be willing to take control of your situation and want to change. It requires you to get stuck into the activities and actions. After reading the paragraph above I couldn’t help thinking that even though I did get nervous, I never felt feelings of dread! That sounded to me more like a full‐on phobia. Sure enough it is, commonly known as social phobia. The book had already paid for itself, as I now felt so much calmer that firstly I was not alone in the ‘getting scared when presenting game’, and, better still, there were people out there who were more scared than me! At that point I decided I would read the whole book and then return to the ‘Action Steps’ as I wasn’t 100% convinced I was in the ‘Social Phobia’ group, or was I just kidding myself? The book goes onto explain the reasons why we link negative thoughts and feeling with presentations and that simply avoiding this situation will actually make things worse! The main aim to break this fear down into bite sized chunks and tackle them one at a time. The idea of identifying within our actions and words the negative parts and replacing them with positive supporting parts, creates the foundations for a safe environment within which we can grow and evolve. It’s also important to understand the pressures we accidentally create on ourselves by making us the ultimate focal point, when in fact it is the audience who is the ultimate focal point. The audience is the whole reason why we are here, to entertain them. I think is something worth noting down and referring back to often. Every time you catch yourself saying something which does not support the new you, try to rephrase it before carrying on with your day. This will help you begin the process of thinking more about what you do want, and less about what your do not want. 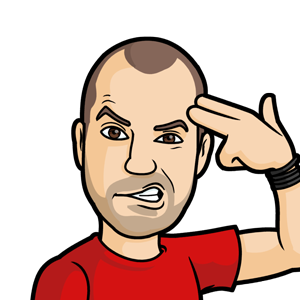 I couldn’t work out why everyone else seems so calm when presenting, yet my voice is always so shaky. It wasn’t until I tried recording my voice and playing it back did I realised that it was only myself who could hear the shake in my voice. After that I felt so much more relaxed. I remember seeing people while I was presenting who I thought were judging me over my shaky voice, only to find it was all in my head, again. Phew. This is a great little book, full of positive ideas to help anyone breakdown those barriers which are holding them back from give 110% to their audience. I would say that there is something for everyone within these pages. 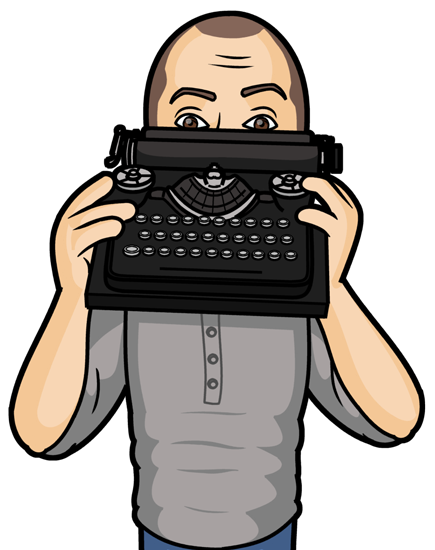 Thanks very much for your blog post about my book, Dan! I am glad you found it helpful as well as reassuring. Good for you that you are not engaging in avoidance behavior, as so many people do when they have stage fright. By the way, I do have a second book you and your readers may want to take a look at. That one is called Getting Over Stage Fright: A New Approach to Resolving Your Fear of Public Speaking and Performing. You can also get on my email list to receive newsletters if interested. Best wishes with your work in stand‐up comedy! Thank you, Janet. I would love to read your next book and blog about it.